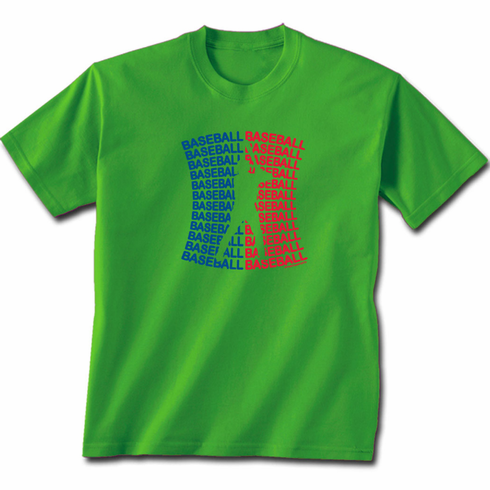 These BASEBALL BASEBALL green short sleeve baseball t-shirts are great for anyone who loves baseball. Batter inside baseball text graphic is screened on the front. Small manufacturer's logo is screened on the upper back. 100% cotton.